The class of 2012 midsize SUVs is as strong as ever and features some new looks and traditional industry leaders. As more people are turning to SUVs and expecting fuel efficiency as well is the ability to utilize a lot of cargo space, this segment continues to improve on all fronts. There are not very many new models that will be introduced in 2012. 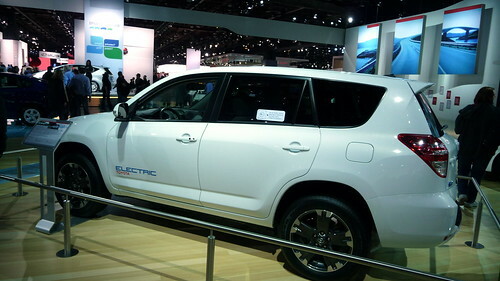 The most talked about introduction is the Toyota RAV4 EV, which is an electric powered version of the RAV4. This SUV was last seen in 2003 and never gained much of a following. The RAV4 EV will be powered by batteries and is expected to have a range of about 100 miles. The RAV4 is also considered a compact SUV but has cargo room larger than several midsize models such as the Nissan Murano and Toyota Venza. There are a lot of 2010 midsize SUVs, which are making changes, however many of them are considered to be incremental improvements at best. Hyundai will be releasing its 2013 Santa Fe early, which will have nearly a complete redesign. The Ford Edge has introduced a new EcoBoost engine, which is a turbocharged four cylinder. The goal is to provide you with the power output of a V6 with the fuel efficiency of four-cylinder engine. The Jeep Grand Cherokee has reintroduced the SRT8 for 2012, which has better styling and a large 470 horsepower V8 engine. As with all SUVs, cargo space may be an important factor in your decision. The Honda Pilot and Toyota Highlander are both excellent choices when space is priority. The Honda Pilot offers a maximum of nearly 90 cubic feet when the second and third rows are folded down. It is important to note that when you fold down these rows, it provides you with a flat floor, which isn’t the case in many similar SUVs. The Toyota Highlander offers a maximum capacity of nearly 95 cubic feet. It is important to note that if you are using the 3rd row, you will get only 10 cubic feet of space, which ranks towards the bottom of its class. But tops are the Chevrolet Traverse and GMC Acadia with a near minivan-like 116 cubic feet of cargo room. When it comes to fuel economy, there are a few midsize SUVs that stand out from the rest. 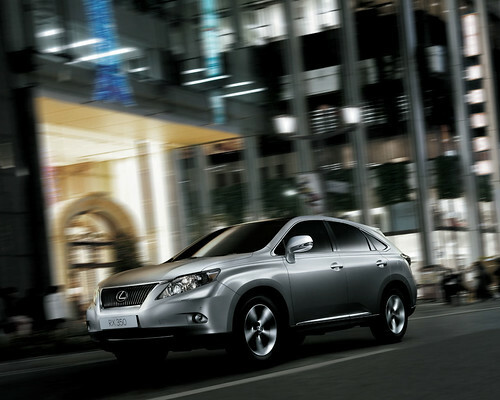 The two best options will be the Lexus RX 450h and Toyota Highlander Hybrid. Both offer nearly 30 miles per gallon combined. Midsize SUVs can get expensive, but there are a few budget friendly options that still offer great features and high overall quality. The Kia Sorento and Hyundai Santa Fe both start below $22,000 and the Dodge Journey is not much more with a V6 engine. The Journey is the most affordable three-row SUV on the market.